No matter how you slice it, Katsuko Saruhashi is one such great scientist, and a woman who certainly lived up to her name, which translates to strong-minded or victorious in Japanese. Not only did she conduct groundbreaking research—developing the first method to measure carbon dioxide levels in seawater—but her work also made waves internationally, as she tracked and raised a global alarm on the dangers of nuclear testing. Throughout her 35-year career as a geochemist, she collected numerous awards and led the way for women to follow her in science………. …….Saruhashi and her team ultimately found nuclear fallout didn’t travel evenly throughout the ocean. They tracked ocean circulation patterns using radionuclides, discovering that currents pushed radiation-contaminated waters clockwise, from Bikini Atoll northwest toward Japan. As a result, fallout levels were much higher in Japan than along the western U.S. This data, unsurprisingly, sparked controversy, and the U.S. Atomic Energy Force ultimately funded a lab swap, bringing Saruhashi to the Scripps Institute of Oceanography to compare the Japanese technique for measuring fallout with the American method, developed by oceanographer Theodore Folsom. Her method turned out to be more accurate, settling the science and providing the critical evidence needed to bring the U.S. and Soviet Union in agreement to end above-ground nuclear testing in 1963: an amazing accomplishment at the height of the Cold War. Saruhashi returned to Japan and later became the executive director of the Geochemical Laboratory in 1979. ……. INSTITUTE OF ATMOSPHERIC PHYSICS, CHINESE ACADEMY OF SCIENCES 8-MAR-2019 Enhanced warming in the Arctic (north of 67°N) is found in both recent observational investigations and model simulations with greenhouse gases (GHGs) emissions increasing. 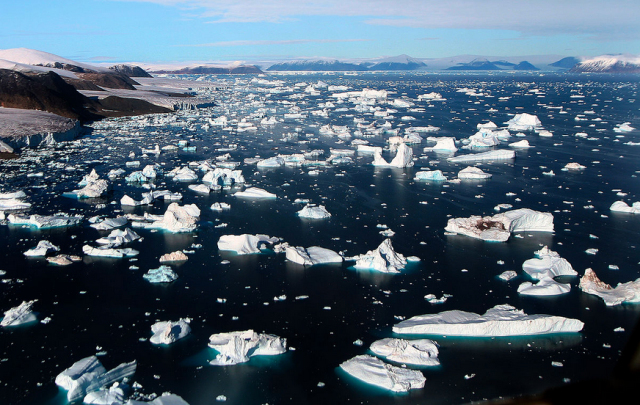 Global warming is occurring twice as fast in the Arctic than anywhere else on Earth. However, why the largest the Arctic amplification (AA) only occurs in certain periods over areas with significant sea-ice loss is still under great debate. Scientists from State University of New York, Albany and Institute of Atmospheric Physics, Chinese Academy of Sciences found the answers by means of historical data analyzation and climate model simulations. Their analyses indicated that AA would not slow down until the 22nd and 23rd centuries, after almost all of the Arctic’s sea ice has melted away with GHGs emissions increasing. According to this research, the large AA only occurs in clod season (October to April), and only over the area of prominent sea-ice loss. 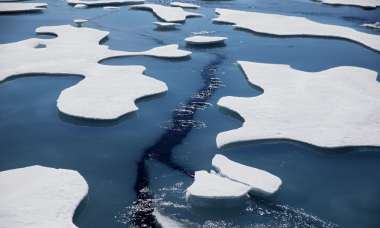 This is mainly because seasonal sea-ice melting from May to September causes more extensive upper seawater and absorbs more sunlight during the warm season and the heat energy is stored in sea-surface Arctic waters. Most of this energy is released into the atmosphere through longwave radiation, and latent and sensible heat fluxes to heating the atmosphere during the cold season when Arctic Ocean becomes a heat source, leading to the large AA. Scientists warn that the melting of Arctic sea ice will greatly enhance warming in Arctic for the coming decades and could also impact weather patterns in mid-latitudes, causing more frequent intrusions of winter polar vortex into China and the continental U.S., leading to extreme events including severe winter weather. Widespread and sometimes drastic marine oxygen declines are stressing sensitive species—a trend that will continue with climate change, Scientific American , By Laura Poppick on February 25, 2019 Escaping predators, digestion and other animal activities—including those of humans—require oxygen. But that essential ingredient is no longer so easy for marine life to obtain, several new studies reveal. ……….. The new results come from the $ 32 million OSNAP, or “Overturning in the Subpolar North Atlantic,” program, the first attempt to comprehensively measure the circulation in the exceedingly remote regions in question. These icy seas, it is believed, are where cold, salty waters — which are extremely dense — sink below the sea surface into the depths, and then travel back southward again all the way to the Southern Hemisphere. The cold region — which has been dubbed the “cold blob” and also “warming hole” — is strikingly anomalous at a time when the Earth and its oceans are otherwise warming. And the suggestion has been that this represents a decline in the volume of heat being transported northward by the circulation. Technology meant to help solve the world’s growing water shortage is producing a salty environmental dilemma. Desalination facilities, which extract drinkable water from the ocean, discharge around 142 billion liters of extremely salty water called brine back into the environment every day, a study finds. That waste product of the desalination process can kill marine life and detrimentally alter the planet’s oceans, researchers report January 14 in Science of the Total Environment. “On the one hand, we are trying to provide populations — particularly in dry areas — with the needed amount of good quality water. But at the same time, we are also adding an environmental concern to the process,” says study coauthor Manzoor Qadir, an environmental scientist at the United Nations University Institute for Water, Environment and Health in Hamilton, Canada. Between human population growth and climate change, water is becoming increasingly scarce (SN: 8/18/18, p. 14). Desalination technology has become a viable solution to this problem and has grown exponentially in popularity since the 1980s. Almost 16,000 plants now operate worldwide. Desalination relies on evaporation or specialized membranes to either chemically or electrically separate pure water from a stream of saltwater. But two streams always flow out of the system: one that becomes water that people can use, and another with the leftover, extra-salty brine, which is released back into the environment. Previous evaluations didn’t assess how much brine these facilities produced, Qadir says. Scientists assumed that desalination facilities on average equally produced brine and pure water — one liter of brine for every liter of pure water. That turned out to be wrong. Using data on the water sources and technology used at desalination facilities around the globe, Qadir and his colleagues estimated for the first time how much brine is discharged daily. For every liter of pure water made, they found that on average 1.5 liters of highly concentrated brine is released back into the environment. Per day, that value translates to more than half the daily volume of water pouring over Niagara Falls, with 70 percent of it originating from desalination plants in arid North Africa and the Middle East. As brine re-enters the ocean, “it creates a kind of local environment,” Qadir says. The highly concentrated discharge, which can also contain metals and antifouling chemicals, is denser than seawater, so it flows as a salty plume to the seafloor and can poison marine organisms living nearby. Some brine can also still be hot from evaporative processes during desalination. Because hot water doesn’t hold oxygen as well as cold water, ocean areas where brine enters can become depleted of oxygen. Depending on location and type of technology, desalination alone can cost between $0.50 and over $2 to produce 1,000 liters of drinkable water — about what two people in the United States use in a day. Further evaporating the brine waste only increases the cost. Modern desalination technologies, such as graphene oxides, are becoming more cost effective and releasing less brine discharge (SN: 8/20/16, p. 22). But they are not universally distributed and are uncommon in the Middle East where desalination is most used. “We need to make sure that with our efforts, we are able to use more of those types of technology which produce more desalinated water than brine,” Qadir says. https://www.eurekalert.org/pub_releases/2019-01/hjap-hcp010419.php– 4 Jan 19, Whereas most of the ocean is responding to modern warming, the deep Pacific may be cooling, HARVARD JOHN A. PAULSON SCHOOL OF ENGINEERING AND APPLIED SCIENCES The ocean has a long memory. When the water in today’s deep Pacific Ocean last saw sunlight, Charlemagne was the Holy Roman Emperor, the Song Dynasty ruled China and Oxford University had just held its very first class. During that time, between the 9th and 12th centuries, the earth’s climate was generally warmer before the cold of the Little Ice Age settled in around the 16th century. Now, ocean surface temperatures are back on the rise but the question is, do the deepest parts of the ocean know that? Researchers from the Woods Hole Oceanographic Institution and Harvard University have found that the deep Pacific Ocean lags a few centuries behind in terms of temperature and is still adjusting to the advent of the Little Ice Age. Whereas most of the ocean is responding to modern warming, the deep Pacific may be cooling. 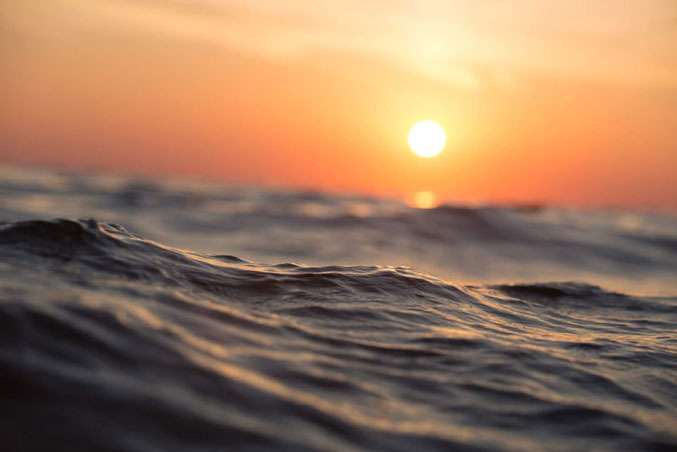 “If the surface ocean was generally cooling for the better part of the last millennium, those parts of the ocean most isolated from modern warming may still be cooling,” said Jake Gebbie, a physical oceanographer at Woods Hole Oceanographic Institution and lead author of the study. The model is a simplification of the actual ocean. To test the prediction, Gebbie and Huybers compared the cooling trend found in the model to ocean temperature measurements taken by scientists aboard the HMS Challenger in the 1870s and modern observations from the World Ocean Circulation Experiment of the 1990s. The researchers then compared the HMS Challenger data to the modern observations and found warming in most parts of the global ocean, as would be expected due to the warming planet over the 20th Century, but cooling in the deep Pacific at a depth of around two kilometers depth. A new scientific survey has found that the glaciers of the Arctic are the world’s biggest contributors to rising seas, shedding ice at an accelerating rate that now adds well over a millimeter to the level of the ocean every year. That is considerably more ice melt than Antarctica is contributing, even though the Antarctic contains far more ice. 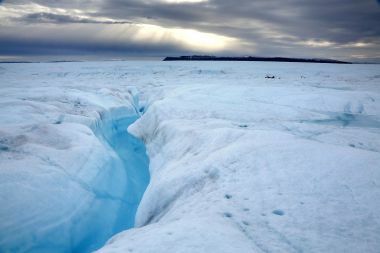 Still, driven by glacier clusters in Alaska, Canada and Russia and the vast ice sheet of Greenland, the fast-warming Arctic is outstripping the entire ice continent to the south — for now. However, the biggest problem is that both ice regions appear to be accelerating their losses simultaneously — suggesting that we could be in for an even faster rate of sea-level rise in future decades. Seas are rising by about three millimeters each year, according to NASA. That’s mainly driven by the Arctic contribution, the Antarctic and a third major factor — that ocean water naturally expands as it warms. “Antarctica will probably take over at some point in the future, but during the past 47 years of this study, it’s not controversial that the Arctic is the largest contribution of land ice to sea-level rise,” he said. Scientists in the United States, Chile, Canada, Norway and the Netherlands contributed to the work, published in Environmental Research Letters. The Arctic is also losing floating sea ice at a rapid pace, but that loss does not contribute substantially to rising seas (though it has many other consequences). Sea ice losses closely match what is happening on land, which makes sense because both phenomena are being driven by the fast warming of the atmosphere in the Arctic, which has heated up at a rate much faster than seen in lower latitudes. Warming seas are also driving some of the ice loss. The total Arctic loss at present is 447 billion tons of ice per year — which Box calculated is about 14,000 tons of water per second. That’s for the period between 2005 and 2015. Between 1986 and 2005, the loss is calculated at around 5,000 tons per second — therefore, the rate has almost tripled. Separate research has recently found that the Antarctic’s loss rate has also tripled in just a decade, reaching 219 billion tons per year from 2012 to 2017. Assuming these numbers are correct and summing them together, the world’s polar regions are losing about 666 billion tons of ice to the ocean each year — amounting to a little bit less than two millimeters of sea-level rise annually. Treating the Arctic as a whole can miss something, though, notes Christopher Larsen, a glacier expert at the University of Alaska at Fairbanks. Namely, the Arctic acceleration documented in the study is really being driven by Greenland, which contains more than 20 feet of potential sea-level rise, dwarfing all other Arctic ice sources. “With respect to the present rate of ice mass loss, and the increasing rates thereof, it is Greenland that has the most significant rate of increased mass loss in the present day,” Larsen said in an email. To give a sense of the scale of the Arctic losses, Box imagined what it would mean if they were distributed among Earth’s human population. “If you take the 7.7 billion people on Earth and divide the present-day numbers, from 2005 to 2015, each person on Earth would have the equivalent of 160 liters per day, every day, every year,” Box said. Sep 3, 2018 Ian Harvey In July of 2018, Andrew Thaler wrote for Southern Fried Science that there were at least two nuclear capsules, four unarmed weapons, and one armed nuclear weapon sitting on the ocean floor, that he was aware of. His information was based on declassified U.S. Department of Defense narrative summaries of accidents involving U.S. nuclear weapons. He noted that the documents he had access to only covered the period of time between 1950 and 1980. Any more recent data would still be classified. There is reason to believe that his estimated numbers for nuclear material in the oceans are far too low. Business Insider in 2013 wrote that since 1950 there have been 32 nuclear weapon accidents, known as Broken Arrows, where an unexpected event involving nuclear weapons resulted in the firing, launching, theft, or loss of said weapon. BI reported in this piece that there were six nuclear weapons that have been lost and never recovered. The time frames for the BI list continued into the 2000’s, but this is also a lowball number. According to a 1989 article in the New York Times, however, there have been at least 50 nuclear warheads and nine reactors scattered on the ocean floors since 1956. These were the result of various accidents on the part of U.S. and Soviet bombers, ships, and rockets, according to a study of naval accidents that was published by Greenpeace and the Institute for Policy Studies. Information for the study was gathered mostly through the Freedom of Information Act, which included American intelligence assessments of Soviet naval accidents. Eighty days after it fell into the ocean following the January 1966 midair collision between a nuclear-armed B-52G bomber and a KC-135 refueling tanker over Palomares, Spain, this B28RI nuclear bomb was recovered from 2,850 feet (869 meters) of water and lifted aboard the USS Petrel (note the missing tail fins and badly dented “false nose”). The authors also received information from the governments of other nations. The report said that the worst accident occurred in 1986, when a Soviet submarine sank 600 miles northeast of the Bermuda coast, depositing two nuclear reactors and 32 nuclear warheads on the bottom of the ocean. That one accident left more nuclear material under the sea than the authors of the first two pieces posited, combined. The study also notes that it doesn’t reflect data on any of the “many hundreds” of Soviet accidents about which little is known, and suggested that the Soviet Navy has far more accidents than those of America. The accidents are, for the most part, due to human factors, ranging from issues of faulty navigation to outright sabotage. So far, the U.S. has admitted to knowing of one hydrogen bomb that is leaking radioactive material. That bomb was accidentally dropped into the sea south of Japan in 1965 by an aircraft carrier. There is some likelihood that other bombs may have also begun to leak radiation into the water, and are just unknown as yet. Even if it hasn’t happened yet, the chances of such leaks will increase over time as the weapons degrade, having the potential to cause untold harm to the oceans and our planet as a whole. Fukushima water release into sea faces chorus of opposition https://mail.google.com/mail/u/0/#inbox?compose=DmwnWtDqNzxklZTsLVvsRFtgBQZHzxshPgMCgrVGpNqZnjrqDwNNWbPprDwxPlNFzCVZnfDvsQwVCitizens and environmental groups have expressed opposition to the idea of releasing into the ocean water tainted with tritium, a radioactive substance, from Tokyo Electric Power Company Holdings Inc.’s disaster-stricken Fukushima No. 1 nuclear power plant.“Long-term storage (of the tritium-containing water) is possible from technical and economic standpoints,” Komei Hosokawa, 63, an official of the Citizens’ Commission on Nuclear Energy, said at a public hearing held in Tokyo on Friday by a subcommittee of the Agency for Natural Resources and Energy. “The radiation levels in the water will decrease during the long-term storage,” he added. Opinions objecting to the release of the tritium-contaminated water into the ocean were also heard at a hearing held in the Fukushima town of Tomioka on Thursday. After Friday’s hearings, Ichiro Yamamoto, who heads the subcommittee, told reporters that many participants in the hearings said the tainted water should continue to be held in storage tanks. The subcommittee will study the option of keeping the water in the tanks, he added. Tepco is lowering the radiation levels in contaminated water at the Fukushima No. 1 plant using special equipment, but the device cannot remove tritium. The tritium-tainted water is stored in tanks within the premises of the power plant, which was heavily damaged in the March 2011 earthquake and tsunami. In 2016, an expert panel of the Agency for Natural Resources and Energy discussed five methods to dispose of the tritium-tainted water —injection deep into the ground, release into the sea after dilution, release into the air through evaporation, conversion into hydrogen through electrolysis, and burying it after it is solidified. The panel estimated that the ocean release is the cheapest option, costing up to about ¥3.4 billion. TAIPEI, TAIWAN — Floating Chinese nuclear power plants stationed in the South China Sea would help Beijing fortify its claims in a decades-old maritime sovereignty dispute, but come with environmental risks, scholars say. China plans to power some of its claimed islets with nuclear energy, the U.S. Department of Defense recently told Congress in an annual report on Chinese military activities. Beijing had indicated last year it was planning to install “floating nuclear power stations” that would start operating before 2020, the report says. That development would bulk up China’s maritime claim after about a decade of land reclamation in parts of the 3.5 million-square-kilometer sea and the sending of military units to some of the artificial islands, analysts say. Rival maritime claimants Brunei, Malaysia, the Philippines, Taiwan and Vietnam lack similar means to electrify their holdings. “You are literally facilitating increase of physical control of the South China Sea,” said Collin Koh, maritime security research fellow at Nanyang Technological University in Singapore. China is unlikely to do an environmental impact study on any nuclear-power barges before installing them, Koh said. A “runaway reactor” could lead to a “major ecological disaster,” he said. The U.S. Defense Department report notes that the sea is prone to typhoons, during which most vessels seek shelter. Pirates and terrorists at sea could also disrupt a nuclear power barge, said Andrew Yang, secretary-general of the Chinese Council of Advanced Policy Studies think tank.